Whenever I return to the home I grew up in, I sift through the shelves and boxes of books that I have so far had to leave behind in my transitions from city to city over the past few years. 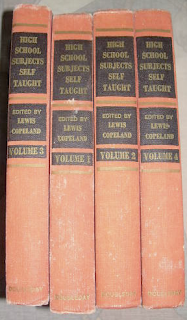 I recently stumbled upon an old, out-of-print book on self-education: High School Subjects Self-Taught by Louis Copeland, with an introduction by the late mathematics educator William L. Schaaf. In fact, since I started this blog and began my project of researching and writing about self-education last year, I have started noticing references to self-education - direct and indirect - all over the place. I am beginning to collect these as I find them in the hopes that they might be able to inform the book I am working on. --Learning is presented as a valuable end in itself as well as a means to other ends; schooling is presented as an opportunity for learning. --The ultimate responsibility for learning rests with the learner himself or herself. --The learner's motivation and desire to learn is critically important. --It is never too late to learn: the fact that one's schooling is complete, or one's experiences in school were unsatisfactory, does not mean that the opportunity to get an education has passed. For self-educators, there is always a "second chance" to learn. Modern life and contemporary events make a heavy demand upon the education and resourcefulness of the individual. In dealing successfully with personal, social, and vocational problems, a basic education is an unquestionable asset. The primary value of an education is not simply the attainment of knowledge, but rather, though ideas as well as information and skills, to develop the power of thinking and to cultivate understanding and appreciation that will serve many purposes. These purposes may concern self-improvement and advancement in your business or vocation; efficient conduct of your household and personal affairs; intelligent consumer activities; adequate participation in civic and community life; helpful guidance where your children are concerned; effective and enjoyable use of your leisure time, devoted to recreation, hobbies, or other avocational pursuits. Possibly you never had an opportunity to attend High School; or, having begun your studies, you were, for one reason or another, unable to complete them. Perhaps you finished your high school course some years ago, but since graduation you have forgotten a good deal of what you once learned, and have come to appreciate its significance somewhat more fully than you did when you were in school. In any event, you now wish to refresh yourself on many of these matters, and perhaps may even want to strike out in one or two new directions. One is never too old to learn if one has the desire to do so. It is an accepted fact that, under ordinary circumstances, you can learn just as well at 25 or 30 as you could at 15 years of age; indeed, there are good reasons why you may learn even more effectively as an adult than as an adolescent. To be sure, it isn't always easy to stick to it. There are pressing demands and inevitable distractions - the business of earning a living, the fatigue at the end of the day, the need for relaxation, the desire for recreation. But that is just where your determination comes in; if you want to badly enough, you will be amazed at how much you can learn, even at 40 or more! A moment's reflection will reveal that there are, in all, but a half dozen or so large fields of human learning and achievement into one or another of which virtually all subjects fall. These fields includes: (1) the social studies; (2) language and literature; (3) the fine arts; (4) foreign languages; (5) mathematics; (6) the physical sciences; (7) philosophy and logic; and (8) the practical arts. No matter how great the sacrifice or how considerable the effort in mastering these subjects you will be amply rewarded. No one can ever take your education away from you. Merely reading a book may no more result in learning than listening to a lecture. To learn something requires active effort on your part. You must have a goal. You must know how you are progressing. And above all, you must want to learn. 1. Try to understand the general scheme of what you are trying to learn. If it is fairly complicated, make an outline of the main terms. 2. Several short periods on successive days are usually better than one lengthy period of study. 3. Use various ways of making yourself think over what you are studying. 4. Try to associate new facts or ideas with something you already know. 5. 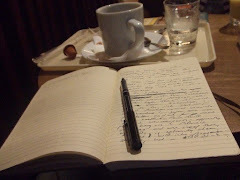 Form the habit of reviewing mentally every paragraph or section before you go on to the next one. See how much of it you can recall; this will help you to remember it. 6. Sometimes reading aloud helps one to remember material; it is better to read rapidly rather than slowly. 7. When you have to stop studying, interrupt yourself at a logical point, but make note of some cue which will enable you to pick up the thread when you begin again. 8. When you have learned something new, try to make use of it as soon as you can; the oftener the better. 9. When you have completed a reasonable amount of material, take time out to summarize what you have covered. You may want to write out your summary. 10. Always have a good dictionary handy. Make frequent use of it. When you have discovered the meaning of a new word, try to use the word yourself. The important thing is to adopt a plan and then carry it out regularly and faithfully; success is never achieved by good intentions or casual activities. --From "Introduction" and "Suggestions for Studying this Book," in High School Subjects Self-Taught by Louis Copeland (Garden City Publishing Co., 1946).